Here for your consideration is an exceptional Burmeses Maw Sit Sit cabochon. 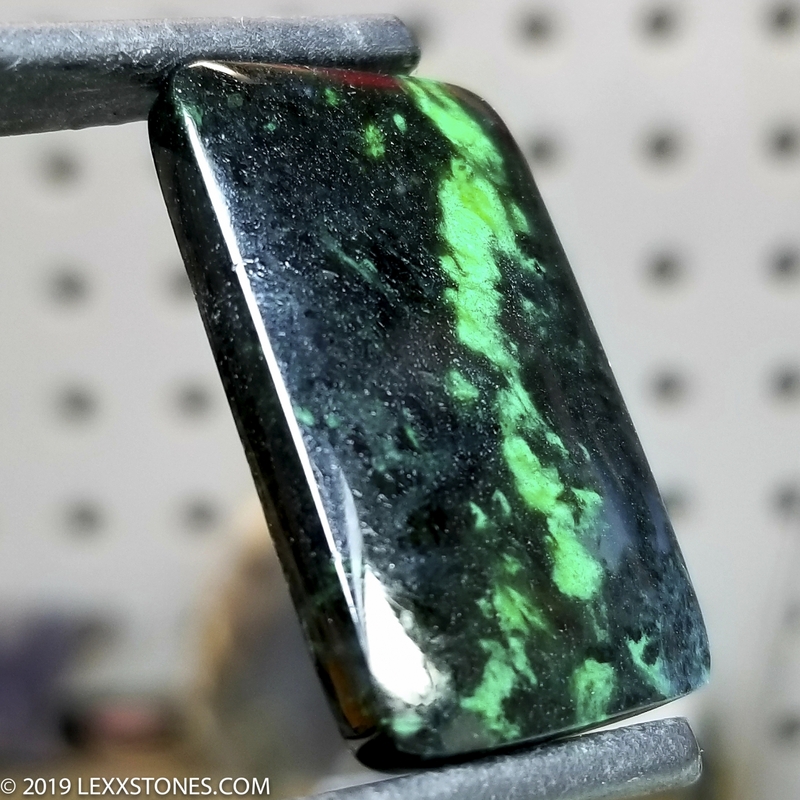 Maw Sit Sit is composed of several different minerals, including kosmochlor (also known as ureyite), varying amounts of chromium-enriched jadeite, and albite feldspar, making a metamorphic rock rather than a singular mineral classification. Maw Sit Sit is a reletively recent find, first identified in 1963 by the late Swiss gemologist Dr. Edward Gubelin and is named after the village in Northwestern Burma, at the foothills of the Himalays which is close to the site where it was first found. The bright green color of Maw Sit Sit is caused by its very high chromium content. It has a higher chromium content than any other rock. 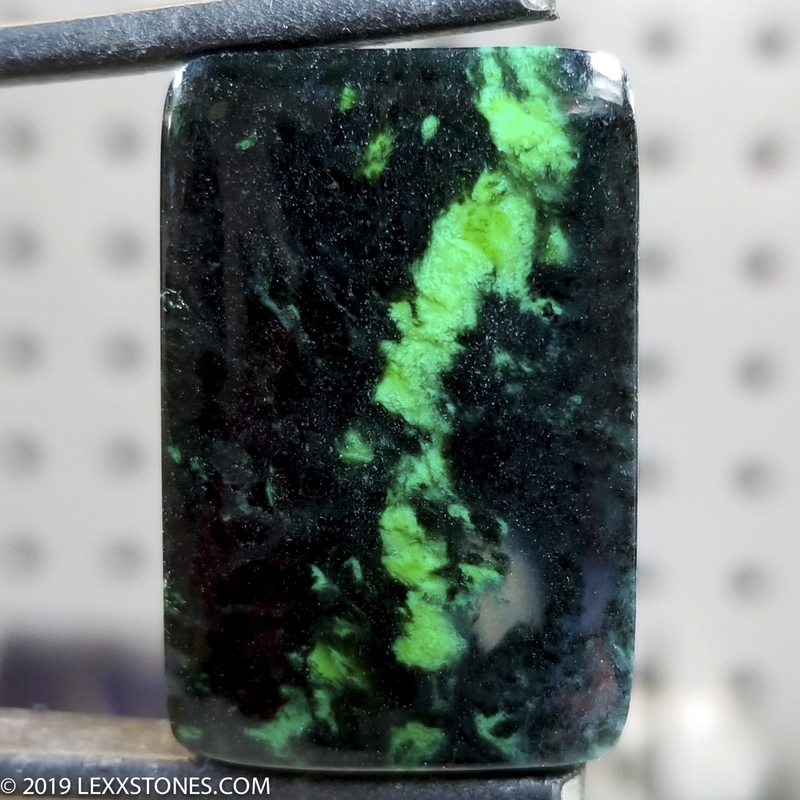 The glowing green plasma-like pattern with white window inclusion is stunning. Splendid for wearing, carrying or heirloom collecting. 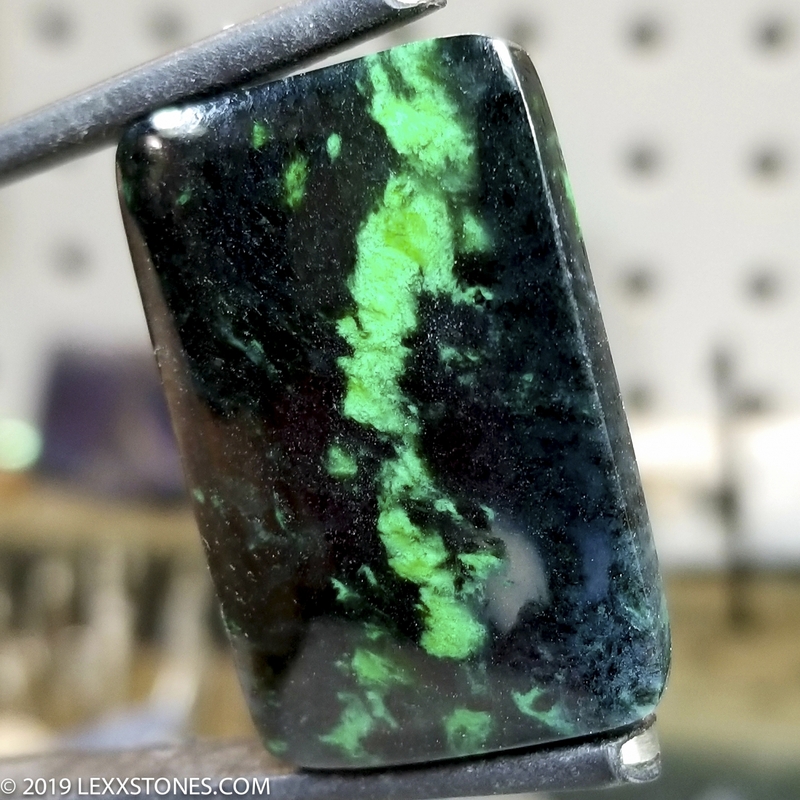 This Maw Sit Sit cabochon will make an exceptional bezel set, PMC or wire wrap focal piece. PHOTOGRAPHED UNDER FULL SPECTRUM LEDs.